The Sun face is an important cultural symbol of the Zuni people and represents the Sun Father, one of their three main kachinas or deities. It is found in all sorts of Zuni art objects, from jewelry to fetishes to rugs to pottery. Practicing an agricultural lifestyle like the other Native American tribes, the Zuni had a keen understanding of the relationship between different crops and different seasons. They recognized the crucial impact of the Sun on the agricultural output. For the Zuni, the Sun symbolized abundance, continuity, stability, positive energy, hope, happiness, and peace. They associated it with the warmth that made life and growth possible and believed it brought playfulness and joy to children and good fortune and prosperity to families. So, praying to the Sun was a critical part of Zuni culture. The Zuni incorporated their respect for the Sun into their jewelry in form of the Sun face. 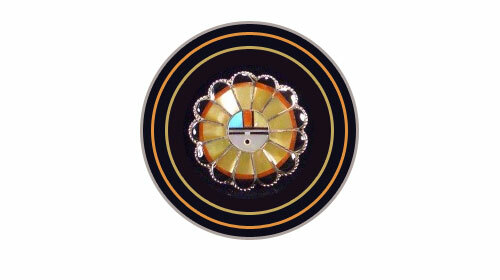 The traditional Sunface represents the finest in Zuni inlay artistry and craftsmanship. It is typically made from turquoise, mother-of-pearl, red coral and jet. Turquoise is believed to be a spiritual stone of oneness and unity with self as well as the spiritual and physical realms; mother-of-pearl represents imagination, intuition, sensitivity, adaptability, and decision-making; coral is considered protective and soothing; while black jet (fossilized wood) is associated with stability and protection. 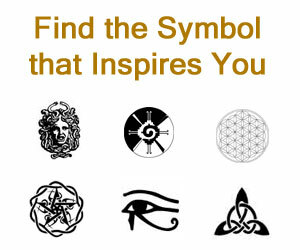 The Sunface is generally crafted as a circular motif and its center inlay represents the face of Sun. The forehead is normally divided into two sections that symbolize the existence of a person as a unique individual and also a part of the family. The two sections also represent the non-stop cycle of sunrise and sunset. The lower part of the Sunface contains rectangular eyes and around the mouth that again symbolizes the continuity of life. The face is surrounded by a feather-like design.